The macOS High Sierra 10.13 Supplemental Update is now available as a free download from the Mac App Store. 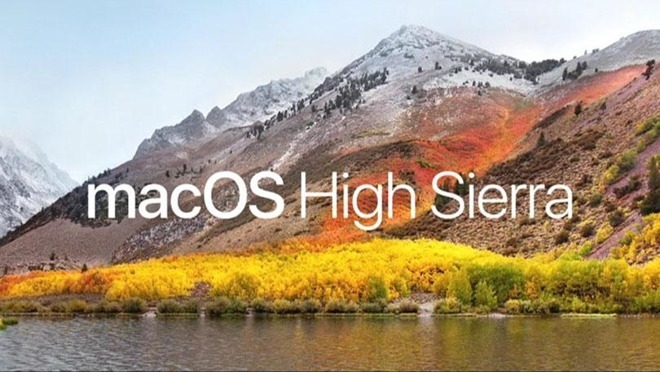 According to Apple, the update improves the stability, reliability and security of a Mac, and is recommended for all High Sierra users. The update also fixes an issue that displayed as a disk encryption password hint to the user as the drive's password itself in plain text. First erroneously attributed to APFS, the flaw was in the macOS Disk Utility itself, and did not manifest with passwords and hints generated in the Terminal. macOS 10.13 High Sierra launched to the public last week, with mostly under-the-hood improvements. Most notably it features the new Apple File System for Mac, as well as supports for HEVC video, HEIF image encoding, and Apple's Metal 2 graphics platform. Apple is working on a macOS 10.13.1 update for High Sierra that remains forthcoming. The first beta of macOS 10.13.1 was issued to developer last week.